Milos Raonic is the hottest rising star in the tennis world…and he’s Canadian!?! Canada has produced very few tennis stars so this is a very exciting time for the Great White North. 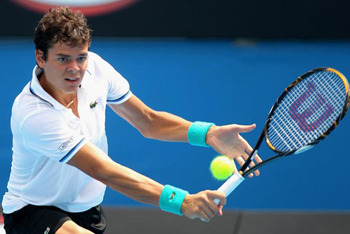 Milos Raonic was born in the former Yugoslavia just before Serbia became an independent country. Milos moved to Canada with his family because of the war that continued in between the surrounding nations. Milos doesn’t remember anything about his homeland in Montenegro except for the time when he was stung by a bee on the finger when he was just 4 years old. 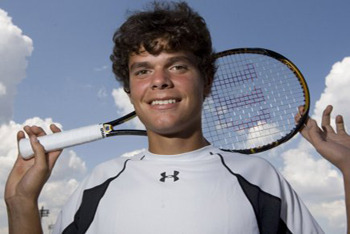 Milos began playing tennis when he was nine years old in Thornhill, Ontario. He has a monster serve thanks to all those early morning (6:30 a.m.) workouts every day. His first serve can reach speeds up to 155 miles per hour! Milos says the biggest reason why his game has improved is because he has been working on his attitude. Instead of getting angry, he tries to find ways to focus and win. 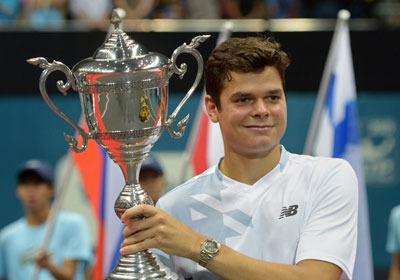 Milos won his first ATP tour title, beating the #9 ranked player in the world, Fernando Verdasco, at the SAP Open in San Jose. It was the first time a Canadian tennis player won an ATP title since 1995. His victory brought a lot of attention to tennis in the Canadian media, so Milos hopes that his victories will help make the sport grow. Milos was oh so close to reaching his first Grand Slam Finals recently when he made it all the way to the Semis at Wimbledon. He lost to Roger Federer but saw his ranking climb to No.6 six in the world! His dad "used a ball machine at 6:30 a.m. or 9:00 p.m. because court fees were a lot cheaper at this time"
Idol growing up was Pete Sampras: "I video-taped all his televised matches"
Career goal is to be a "consistent Top 50 player with Top 10 aspirations"
French Open: Can Federer Beat Nadal? The Greatest Tennis Superstar? Vote! Maria Sharapova is the best! Me! I'm a wizard with a racquet!